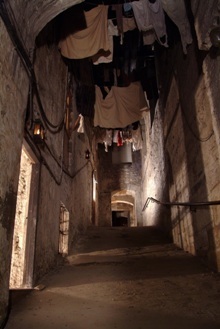 You may have heard The Real Mary King’s Close referred to as ‘The Underground City’. Well, although strictly speaking we are neither a city nor underground, there are a number of underground cities around the world. In our latest blog we are exploring these unique spaces beneath the streets. The Underground Tour is one of Seattle’s most unusual attractions. Bill Speidel’s Underground Tour allows guests to take a guided stroll through intriguing subterranean shopfronts and pavements, which were entombed when the city was rebuilt on top of itself after the Great Fire of 1889. As you roam the underground passages that once were the main roadways of old downtown Seattle, guides regale you with the stories the pioneers didn’t want you to hear. When Prague’s New Town was built in the 13th century all the debris that was removed from the area was brought into the Old Town, where it was used to increase the level of the street to prevent flooding. This meant that the city’s ground floors became basements, which were closed off and hidden beneath the city. The oldest part of the Old Town Hall’s underground is the Roman hall from the second half of the 12th century. The underground space was also used to hold prisoners too, as is evidenced by their names being engraved on to the Gothic portals. 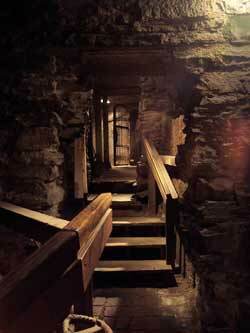 Today there are numerous underground tours available which take you through these streets beneath the city. Buried deep beneath Italy’s bustling capital are many underground areas including three temples; the Basilica of San Clemente, the Basilica dei Santissimi Giovanni and Paolo and the Church of San Nicola in Carcere. You can see a 12th century church which is home to beautiful mosaics and frescoes which date back to the 4th century, Roman homes that would have been at street level as far back as the 1st century BC, medieval piazzas and stunning frescoes. These are only three of the underground spaces from around the world, there are many more but none are quite like The Real Mary King’s Close.